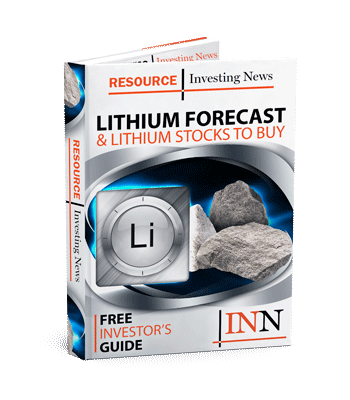 QMC Quantum Minerals is pleased to provide an update on the company’s 100-percent owned Irgon lithium mine project. QMC Quantum Minerals (TSXV: QMC) (FSE: 3LQ) (OTC PINK: QMCQF) is pleased to provide an update on the company’s 100-percent owned Irgon lithium mine project located within the prolific Cat Lake-Winnipeg River rare-element pegmatite field of S.E. Manitoba, which also hosts Cabot Corporation’s nearby Tantalum Mining Corporation of Canada rare-element pegmatite. QMC is currently entering discussions with SGS Canada to have them initiate preliminary metallurgical testing on a large lithium pegmatite sample to be obtained from the company’s Irgon lithium mine project in southeastern Manitoba. This study will be designed to produce a saleable concentrate for which QMC envisions a three-stage process. Initially, the large sample will be prepared so that it is amenable to dense media separation (“DMS”). Subsequently, all magnetic minerals will be removed, and a lithium concentrate will then be produced using the DMS process. The final phase will be to upgrade the lithium concentrate through flotation technology to produce a saleable product.